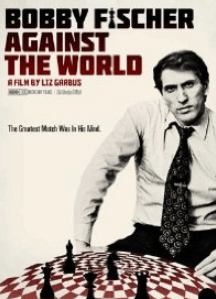 Whether you’re a chess player or fan of the game, this 2011 movie documentary tells the tragic story of American Chess genius Bobby Fischer. Tracing his life from childhood prodigy to his untimely and isolated death in 2008 will bring a tear to the eye of those watching. This movie in the genres of biography, sport and documentary was released September 9, 2011 and was directed by veteran film-maker Liz Garbus. It was also the last project of late editor Karen Schmeer. 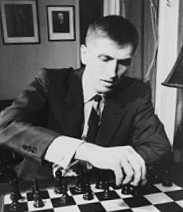 Bobby Fischer was born March 9, 1943 in Chicago, Illinois. He was an American chess grandmaster and considered by many to be the greatest chess player of all time. One particular match, against Boris Spassky of the USSR in 1972, attracted more worldwide interest than any chess championship had before or has since. It was publicised as a Cold War confrontation and Bobby was the victor. Bobby had shown a particular skill at the game of chess from a very early age. Aged 14, he played in eight United States Championships and won every one by at least a one-point margin. At the age of 15, he became the youngest grandmaster up to that time and the youngest candidate for the World Championship. Over subsequent years he achieved even more success and titles and by July 1971, he was the first official FIDE (World Chess Federation) number-one-rated player. All was not rosy in his personal life, however, and he became increasingly reclusive and erratic. Eventually disappearing from both competitive chess and the public eye. There were problems with the US government, who were seeking income tax on his match winnings and he ended his days as an émigré. He did, however, manage to get an Icelandic passport and citizenship and this is where he lived until his death in 2008. If you’re not yet a fan of competitive chess this movie may not turn you into one overnight, but it can serve as a good introduction. It is also a very thorough recounting of Fischer’s tumultuous life. Many who choose to watch the film will remember the hype that surrounded his defeat of Soviet champion Boris Spassky in 1972. It did, after all, create a worldwide sensation. 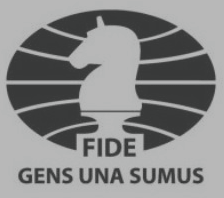 Included are interviews with chess players such as Anthony Saidy, Sam Sloan, Garry Kasparov, Susan Polgar and Lothar Schmid. And also includes some rare footage of the Championship in 1972 that created such a media circus. Many will already be aware of the second and third chapters of Fischer’s life story. What’s always been missing has been an insight into his early life. Garbus enables us all to appreciate what a heartbreakingly lonely and vulnerable childhood he had. After all Brooklyn in the 1950s wasn’t the fluffiest of places. You’ll also get an introduction to the man he became in later years, after resurfacing in Yugoslavia, 20 years later. And where he retreated to after his rematch with Spassky. Bobby Fischer Against The World is the true tale of a difficult and solitary child that grew into a mentally unstable man, in desperate need of professional help. It shows us all that being the best at something does not necessarily bring happiness. For many it brings sadness, loneliness and a complete lack of understanding. This is an intriguing portrait of a genius and his ultimate fall from favour.